Celebrating the15th anniversary of the ESSL MUSEUM Karlheinz Essl, who is curating the exhibition >made in austria – statement by karlheinz essl < himself, is putting his personal heavyweights of recent Austrian art history in relation to one another with works by Friedensreich Hundertwasser, Max Weiler, Maria Lassnig, Arnulf Rainer, Markus Prachensky, Josef Mikl, Wolfgang Hollegha, Herbert Brandl, Hubert Scheibl, Franz West, Erwin Wurm, Franz Ringel, Martha Jungwirth, Kurt Kocherscheidt, Günter Brus, VALIE EXPORT and Hermann Nitsch. Thu, 27.02.2014 - Sun, 24.08.2014. Zum 15-jährigen Bestehen des ESSL MUSEUM kuratiert Karlheinz Essl die Ausstellung "made in austria" als Statement mit seinen persönlichen Schwergewichten der jüngeren österreichischen Kunstgeschichte. Zu sehen sind Werke von Friedensreich Hundertwasser, Max Weiler, Maria Lassnig, Arnulf Rainer, Markus Prachensky, Josef Mikl, Wolfgang Hollegha, Herbert Brandl, Hubert Scheibl, Franz West, Erwin Wurm, Franz Ringel, Martha Jungwirth, Kurt Kocherscheidt, Günter Brus, VALIE EXPORT und Hermann Nitsch. Do, 27.02.2014 - So, 24.08.2014. In the SECESSION's main hall, LISL PONGER has realized a project she has wanted to do for a long time: the Museum für fremde und vertraute Kulturen [Museum for Foreign and Familiar Cultures], in short MuKul. Lisl Ponger presents two exhibitions in the four exhibition rooms of the MuKul: The Vanishing Middle Class, a show that undertakes what is known as "salvage ethnology" by recording and documenting as many facets as possible of the life of a population group whose future is in peril, and the special exhibition Lisl Ponger. Wild Places with a number of photographic works the artist created between 2000 and 2010. Lisl Ponger has long explored the constructed nature of (cultural) identity, our—often stereotypical— ideas about and images of the "other," and the associated questions of visual representation. Curated by Jeanette Pacher. February 13 – March 30, 2014. In his first solo exhibition in Austria, titled Finite Location, the Basque artist IBON ARANBERRI shows his large-format photography installation Política Hidráulica (2004–2010), the sculpture Found Dead (2007-2011), and the new The Partial Use of Senses (2014). Curated by Bettina Spörr. LISL PONGER hat mit ihrer Installation The Vanishing Middle Class im Hauptraum der SECESSION das „Museum für fremde und vertraute Kulturen“, kurz MuKul, realisiert. In den vier Räumen des MuKul präsentiert Lisl Ponger zwei Ausstellungen: The Vanishing Middle Class, eine Schau, die ganz im Sinne der sogenannten „Rettungsethnologie“ eine vom Verschwinden bedrohte Bevölkerungsgruppe möglichst facettenreich zu erfassen und dokumentieren versucht, und die Sonderausstellung Lisl Ponger. Wild Places mit einer Reihe fotografischer Arbeiten der Künstlerin aus den Jahren 2000 bis 2010. Indem Ponger die westliche Mittelschicht in dieser Ausstellung als Untersuchungsgegenstand so behandelt wie (auch heute noch) „exotische“ Völker oder Volksgruppen in entlegenen Gegenden der nicht-westlichen Welt in oft spektakulären Ausstellungen repräsentiert werden, führt die Künstlerin eindrucksvoll die Mechanismen vieler Museen vor Augen und erlaubt in dieser Art Dekonstruktion eine kritische Auseinandersetzung. Kuratorin: Jeanette Pacher. 13. Februar – 30. März 2014. Der baskische Künstler IBON ARANBERRI bezieht sich unter dem Titel „Finite Location“ in seinen Arbeiten, der großen Fotoinstallation Política Hidráulica (2004-2010), der Skulptur Found Dead (2007-2011) und der neuen Arbeit The Partial Use of Senses (2014), auf bestehende Strukturen wie Bauwerke, öffentliche Anlagen oder Kunstwerke und unterzieht sie einem analytischen Entschlüsselungsprozess. Kuratorin: Bettina Spörr. LISL PONGER führt durch das Museum für fremde und vertraute Kulturen. Lisl Ponger bei der Presseführung im "Museum für fremde und vertraute Kulturen". In Deutscher Sprache. Musée à vendre pour cause de faillite (Museum for sale due to bankruptcy. Herbert Foundation and mumok in dialog. The Annick and Anton Herbert Foundation is one of the most significant privat collections of contemporary art in Europe. The Herberts collected important art works of American and Auropean representatives of Minimal Art and Conceptual Art. The show was augmented by major works from the mumok collection. Feb 21st - May 18th, 2014. Artists: Carl Andre, Art & Language, John Baldesari, Marcel Broodthaers, Hanne Darboven, Dan Graham, Donald Judd, On Kawara, Mike Kelley, Martin Kippenberger, Sol LeWitt, Paul McCarthey, Bruce Nauman, Michelangelo Pistoletto, Gerhard Richter, Niele Toroni, Lawrence Weiner, Franz West, Heimo Zobernig. Curated by Eva Badura-Triska. Musée à vendre pour cause de faillite (Museum zu verkaufen wegen Konkurs. Herbert Foundation und mumok im Dialog. A key part of Moyra Davey’s artistic work are her “mailers,” photographs folded as envelopes that she sends to family members, friends, and acquaintances. In her exhibition „Burn the Diaries“ at mumok Moyra Davey reflects in fragments of memory and quotations on her own past and relates it to Jean Genet, whose path she also traces in literary terms. Curated by Matthias Michalka. Feb 21th –May 25th, 2014. Wesentlicher Bestandteil Moyra Daveys künstlerischen Arbeit sind die sogenannten Mailer, zu Umschlägen gefaltete Fotos, die sie per Post an Familienmitglieder, FreundInnen oder Bekannte schickt. Für ihre Einzelausstellung mit dem Titel Burn the Diaries im mumok entwickelt Moyra Davey neue Werke, die sich auf das Schaffen des französischen Literaten, Aktivisten und Diebs Jean Genet beziehen. Kurator Matthias Michalka. 21.02.–25.05.2014. Reinstallation of the MAK Permanent Collection ASIA. China – Japan – Korea. The Japanese artist Tadashi Kawamata developed the concept and design for the reinstallation of the MAK Permanent Collection ASIA. Kawamata’s ideas for the MAK Collection are based in concept on permanent change and the play of light and shade. Two large, scaffold-like showcase blocks will house the exhibits from the collection, enabling diverse viewpoints. Tadashi Kawamata places the artworks in a context that keeps things moving, whether the act of observation or the observers themselves, for he says: “My projects are never finished; it seems quite natural to me that something is never finished.” Curator Johannes Wieninger. The MAK Permanent Collection ASIA is accompanied by the MAK/GUIDE ASIA. China – Japan – Korea. Der Japanische Künstler Tadashi Kawamata hat Neukonzeption der Schausammlung Asien im MAK entwickelt, die vom Gedanken der permanenten Veränderung sowie dem Spiel von Licht und Schatten getragen ist. Die Exponate werden in großen, gerüstartigen Vitrinenblöcken präsentiert, die eine Vielfalt von Betrachtungsmöglichkeiten ergeben. Tadashi Kawamata setzt die Kunstwerke einem Kontext aus, der die Betrachtung wie den Betrachtenden in Bewegung hält, denn, so der Künstler, „meine Projekte sind nie fertig, es erscheint mir ganz natürlich, dass etwas nie fertig wird.“ Kurator Johannes Wieninger. Zur MAK-Schausammlung ASIEN erscheint der MAK/GUIDE ASIEN. China – Japan – Korea. Eric Fischl's exhibition „Friends, Lovers and other Constellations“ at the ALBERTINA concentrates on works on paper and bronze sculptures. The American painter, graphic artist and sculptor is one of the most important representatives of contemporary figuration. Feb 13th - May 18th, 2014. Eric Fischls Ausstellung „Friends, Lovers and other Constallations“ in der ALBERTINA konzentriert sich auf Arbeiten auf Papier und Bronzeskulpturen. Der US-amerikanische Maler, Grafiker und Bildhauerzählt zu den wichtigsten Vertretern der zeitgenössischen Figuration. 13. Feb. - 18. Mai 2014. Eric Fischl gives insight to his life and work in this one hour long artist talk with Christine Scheucher. In cooperation with the BERLINISCHE GALERIE the BELVEDERE presents the show „Vienna - Berlin The Art of Two Cities“, dealing with the artistic parallels, differences, and correlations between these two cities. The points of departure of this show are relationships, discrepancies, and similarities between the two cities’ Secessionist movements around 1900. World War I led to a rapprochement of the two nations, entailing a vivid artistic exchange between the two cities that evolved with regard to the emerging style of New Objectivity. At the same time, Viennese Kineticism, relying on concepts of Expressionism and Futurism, gained influence. It was juxtaposed by the Berlin Dada movement, which addressed current social conditions in a both critical and subversive manner, thereby creating an anti-culture. Especially the Roaring Twenties reflect an artistic exchange between and approximation of opposing positions, allowing a new perspective of the connection between the two capitals, which, in spite of their differences, were closely related – social criticism and their approach to aesthetics, a Cubist language of form, and a tendency towards Verism coincided. Curated by Alexander Klee. Feb. 14th - June 15th, 2014. Works by: Max Beckmann, Rudolf Belling, Herbert Boeckl, Otto Dix, Conrad Felixmüller, Helene Funke, George Grosz, Albert Paris Gütersloh, Raoul Hausmann, Raoul Hausmann, Hannah Höch, Josef Hoffmann, Johannes Itten, Friedrich Kiesler, Ernst Ludwig Kirchner, Erika Giovanna Klien, Gustav Klimt, Oskar Kokoschka, Anton Kolig, Lotte Laserstein, Max Liebermann, Jeanne Mammen, Ludwig Meidner, László Moholy-Nagy, Koloman Moser, Felix Nussbaum, Max Oppenheimer, Max Oppenheimer, Max Pechstein, Christian Schad, Egon Schiele und Max Slevogt, Rudolf Schlichter, Arnold Schönberg, Franz Sedlacek, Renée Sintenis, Rudolf Wacker and many more. In Kooperation mit der BERLINISCHEN GALERIE untersucht das BELVEDERE in der Schau „Wien - Berlin Kunst zweier Metropolen“ die künstlerischen Parallelen, Differenzen und Wechselwirkungen zwischen den beiden Städten vom Beginn des 20. Jahrhunderts bis zur Zwischenkriegszeit. Ausgangspunkte der Schau sind Beziehungen, Unterschiede und Gemeinsamkeiten der beiden Secessionen um 1900. Nach dem Ersten Weltkrieg kam es mit der Neuen Sachlichkeit zu einem regen künstlerischer Austausch. Zeitgleich gewann der Wiener Kinetismus mit Ansätzen des Expressionismus und des Futurismus an Einfluss. Ihm stand die Berliner Dada-Bewegung gegenüber, die sich auf kritische wie subversive Weise mit aktuellen gesellschaftlichen Zuständen auseinandersetzte und auf diesem Wege eine Antikultur ausbildete. Die Ausstellung erlaubt eine neue Sicht auf die gegensätzlichen, aber dennoch eng miteinander verwobenen Hauptstädte – Sozialkritik und Ästhetisierung, kubische Formensprache und Verismus überlagerten sich. Kurator: Alexander Klee. 14.02.2014 bis 15.06.2014. The focus of the Siegfried Anzinger show, including around 80 works, at the KUNSTFORUM WIEN is on new paintings specially created by the artist for the exhibition. The painted works will be supplemented by drawings, watercolours and pastels produced at intervals alternating with the distemper pictures. Part of the exhibition is devoted as well to selected pictures in the context of Anzinger’s participation in the 1988 Biennale di Venezia. Curator: Florian Steininger. Feb 13th - April 27th, 2014. Der Schwerpunkt der rund 80 Arbeiten umfassenden Siegfried Anzinger Schau im KUNSTFORUM WIEN liegt auf neuen Gemälden, die der Künstler eigens für die Ausstellung geschaffen hat. Ergänzt werden die malerischen Arbeiten mit Zeichnungen, Aquarellen und Pastellen, die im wechselseitigen Verhältnis mit den Leimfarbe-Bildern entstanden sind. Ein Teil der Ausstellung widmet sich auch ausgesuchten Bildern im Kontext von Anzingers Biennale-Teilnahme im Jahre 1988. Kurator: Florian Steininger. 13.02. - 27.04.2014. The installation „Das Wunder des Lebens (The Miracle of Life)“ at the Kunsthalle Wien by the belgian artitists Jos de Gruyters und Harald Thys is dedicated to the absurdity of everyday life. Around 400 drawings (purposely done in a rather banal fashion) which, according to the artists show everything we can imagine, are mounted on a formation of numerous room-divider “barricades”. Whereas the order of the pictures follows no specific principle, the system on which they are mounted is strictly organised. At the centre is a sculptural fountain. In an audioguide developed by the artists a monotone computer generated voice describes the drawings as banal as they are. Curators: Lucas Gehrmann, Nicolaus Schafhausen. Feb 2nd to May 4th, 2014. Mit der Ausstellung „Das Wunder des Lebens“ in der Kunsthalle Wien widmen sich die belgischen Künstler Jos de Gruyters und Harald Thys der Absurdität des Alltäglichen. In einem strengen System aus weissen Stellwänden in deren Mitte eine ebenfalls weisse Brunnenskulptur aufragt zeigen sie etwa 400 Zeichnungen in banal wirkender Machart, die – so die Künstler – alles zeigen, was wir uns vorstellen können Raum-Barrikaden. Im Raum hört man das gleichförmige Plätschern des Brunnens und ist aufgefordert mit den von den Künstlern programmierten Audioguides den monoton-banalen Bildbeschreibungen einer Computerstimme zu den einzelnen Zeichnungen zu lauschen. Kuratoren: Lucas Gehrmann, Nicolaus Schafhausen. Bis 4. Mai 2014. At EIGENSINNIG shows photos by ROBERT RUTOED shot at the „Right Time Right Place“, MICHAIL MICHAILOV asks the visitors to „take off your shoes II“ and presents installations with drawings, photographies and videos at PROJEKTRAUM VIKTOR BUCHER. In the shopfronts of the STEINBRENER/DEMPF atelier at Glockengasse LENA LAPSCHINA has installed 18 LED panels for her media work „PROPAGANDA“. EIGENSINNIG zeigt Fotos von ROBERT RUTÖD aus der preisgekrönten Serie „Right Time Right Place“. MICHAIL MICHAILOV bittet die Galeriebesucher „take off your shoes II“ und zeigt Installationen aus Zeichnungen, Fotografien und Videos im PROJEKTRAUM VIKTOR BUCHER. In die Fenstern des Ateliers STEINBRENER/DEMPF in der Glockengasse hat LENA LAPSCHINA 18 LED Panels für ihre Medien Installation „PROPAGANDA“ gestellt. 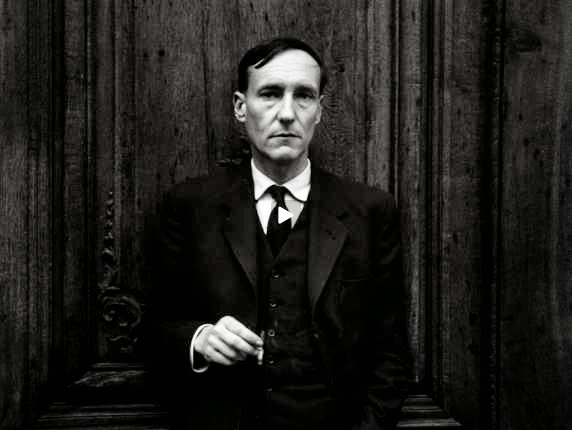 Today Feb. 5th, 2014 William S. Burroughs would celebrate his 100th birthday. theartVIEw looks back to the great W. S. Burroughs exhibition at KUNSTHALLE Wien in 2012. With “ROSWITHA ENNEMOSER. CONCRETISATION.” MUSA is showing a representative selection of the artist’s work for the first time. Born in the Tyrol region of Austria, Ennemoser is part of the tradition of constructive-concrete art. Rationally and academically inclined, her meticulousness and clarity of form are evident in her objects (oil on canvas, wood and concrete objects, as well as paper). In July 2008, Roswitha Ennemoser donated her life-work to the MUSA. She died just one month later. Her legacy consists of more than 700 works and a wealth of written source material. Curated by Sonja Gruber und Maris Liska. Feb 4th to March 3rd, 2014. Das MUSA stellt ROSWITHA ENNEMOSER mit der Ausstellung „KONKRETISIERUNG.“ in einer repräsentativen Werkauswahl vor. Die 1953 in Tirol geborene Künstlerin steht in der Tradition der konstruktiv-konkreten Kunst. Rational und wissenschaftlich orientiert, zeugen ihre Objekte (Ölgemälde auf Leinwand, Holz- und Betonobjekte sowie Papierarbeiten) von höchster Akribie sowie formaler Klarheit. Kurz vor ihrem Tod übergab Roswitha Ennemoser 2008 dem MUSA den Großteil ihres Lebenswerks als Schenkung (über 700 Werken und einer Fülle an schriftlichem Quellenmaterial). Kuratiert von: Sonja Gruber und Maris Liska. 4.2. - 1.3.2014.